« You’ll never guess what’s leaking in your home! Here’s a hint…they provide power. It is a common issue in any household that drains get clogged. Most of the time the culprit of clogged drains are everyday items that when disposed of correctly can save you from backed up smelly kitchen drains or overflowing soiled toilets. These problems can cause you problems and costly water damage restoration process. But this inconvenient problem is easily preventable and can save you a lot of heartache by taking simple steps to ensure your pipes flow freely and water is drained correctly. In case you need professional help however there is Adelaide home pipe repair service that can help you. You will find below some common causes of clogged pipes and how to prevent them. So you think that because you have the toughest and most powerful garbage disposal on the market that you can put pretty much anything down there and it will disappear like magic? Wrong. You would be surprised at the everyday food products that should not be put into your garbage disposal. Vegetables that are stringy or fibrous should never go down the disposal. Vegetables of this material tend to get caught in the motor and will eventually clog your drain and possibly lead to a burnt out disposal motor. You should take care of drains just like you do not to have the clogged dryer vents. Also foods that are high in starch should not be put in your kitchen drain. These foods will swell and stick to the pipes slowing and eventually backing up your drain. This is the same for any greases, fats, or heavy gravies. Its better to put these items in a plastic bag and put them in the trash, as recommended by HOME – GOLDEN RETROFIT. Hair is among the top causes of clogged drains in restrooms. The longer the hair the worse for your drain. Hair is notorious for clumping up in pipes and does so at a slower pace therefore allowing it to thicken and harden making removal extremely difficult. The best way to prevent this is to purchase a hair crumb catcher and install it over your drain. Also remember to regularly clean the hair crumb catcher so that doesn’t become clogged as well. The only type of paper that should go down your toilet is toilet paper. Refrain from flushing paper towels and feminine products down the toilet. These products are designed for maximum absorption and when they come in contact with water will expand and immediately cause a clogged drain. Other paper products that should stay away from flushing are cotton balls, per-moistened wipes, and scrub pads. On a side note and one that doesn’t qualify as paper but is a common problem in toilets are kids toys. Things like action figures, barbie dolls, and matchbox cars are often found by plumbers unclogging toilets so if you have little ones it might be a good idea to install a child safety mechanism to prevent lifting of the lid. If you need a good technitian to solve this problem, check out Marines Plumbing website. Believe it or not soap can actually clog your drains. The most common form of soap known to clog drains is bar soap. This happens when bar soap combines with hard water to form residue that is left behind on pipes. This residue will build up and restrict flow causing slow drainage of basins and tubs. It is recommended switching to liquid soap or using liquid hand sanitizer which requires no rinsing. If you ever find yourself with a clogged drain do not hesitate to contact the experts at A-Peoria Plumbing. 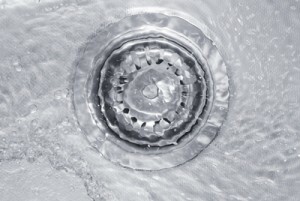 Remember if you have a drain that is continuously clogging, it could be a sign of a more serious problem. This entry was posted on Tuesday, May 27th, 2014 at 7:00 pm	and is filed under A-Peoria, A-Peoria Plumbing, Clean Up, Clogs, Garbage Disposal, Plumbing, Plumbing Repair, Questions To Ask. You can follow any responses to this entry through the RSS 2.0 feed. You can leave a response, or trackback from your own site.